Qlik puts the power of discovery back in your hands. Accessible, powerful and intuitive, Qlik lets everyday users create visualisations, dashboards, and apps to explore and connect vast amounts of data. With an engaging, easy-to-use interface, Qlik encourages whole new ways of thinking about data and ultimately empowers better decision-making and breakthrough business discoveries right across your organisation. The self-service data visualisation and discovery solution that anyone can use. With Qlik Sense, individuals, groups and organisations can quickly create engaging, interactive visualisations, dive deep into data and instantly uncover new data relationships. Intuitive, collaborative and platform-responsive, Qlik Sense empowers you to see opportunities from every angle. 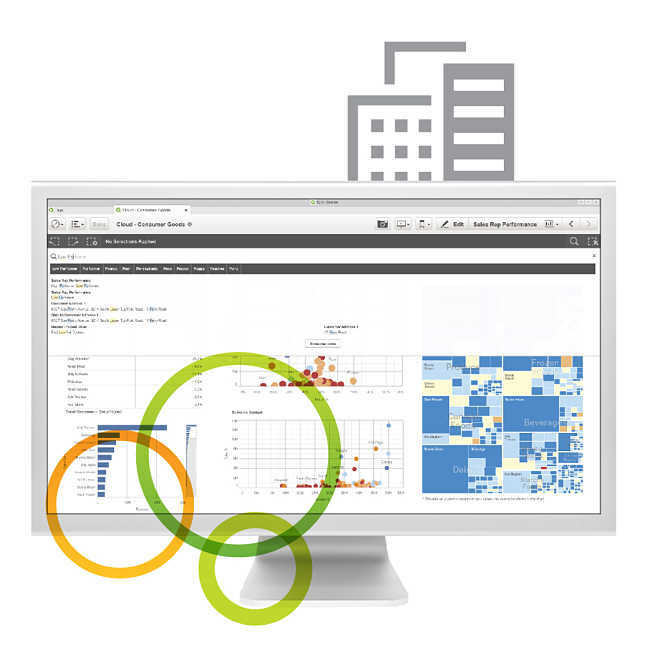 QlikView puts deeper insights into the hands of you and your team. This flexible, business-ready solution allows you to combine data sources for a complete view of your information. With QlikView, you can build you’re own rich, guided analytics applications – and use centrally managed data and applications to empower faster, easier business discovery. With this advanced report and distribution solution, you and your team can share new insights fast. Qlik NPrinting enables you to quickly create great-looking reports using data and analytics from Qlik Sense and QlikView. With drag-and-drop simplicity, you can develop reports in a variety of popular formats – allowing you to target the right people, with the right information at the right times. Interested in learning more about how Qlik can benefit your business? "Call report data helps us track our sales teams’ activity and indicates the energy levels of the team and return for the effort of our customers." "We were looking for something to give us lots of different on-demand reports, but we also needed to start taking our analysis of what was happening in the business to a more detailed level. In QlikView we found a product that can act as an interactive BI tool and can also be used to develop any number of very flexible reports..."